S.O.S. Crown Heights and S.O.S. 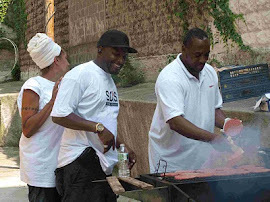 Bed-Stuy: Faith-based support for S.O.S. On April 26th, S.O.S. and the Crown Heights Mediation Center welcomed 28 guests for a clergy breakfast, including leadership and representatives from 14 churches in our catchment area. S.O.S. Program Manager Lisa Jones gave a presentation of the work of S.O.S. and how we can use faith-based support. 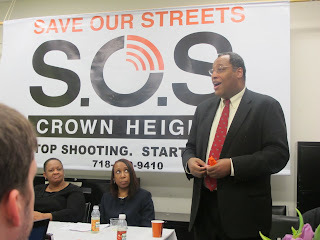 We also heard from the Assemblyman Reverend Karim Camara, who described his journey into politics and emphasized the importance of working in your own community, and from Captain Capocci of the 77th precinct, who reported that shootings are significantly down in the S.O.S. catchment area compared to the same period of time in 2010. 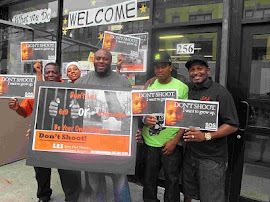 5) Serve as a support system for families of shooting victims and of shooting perpetrators. 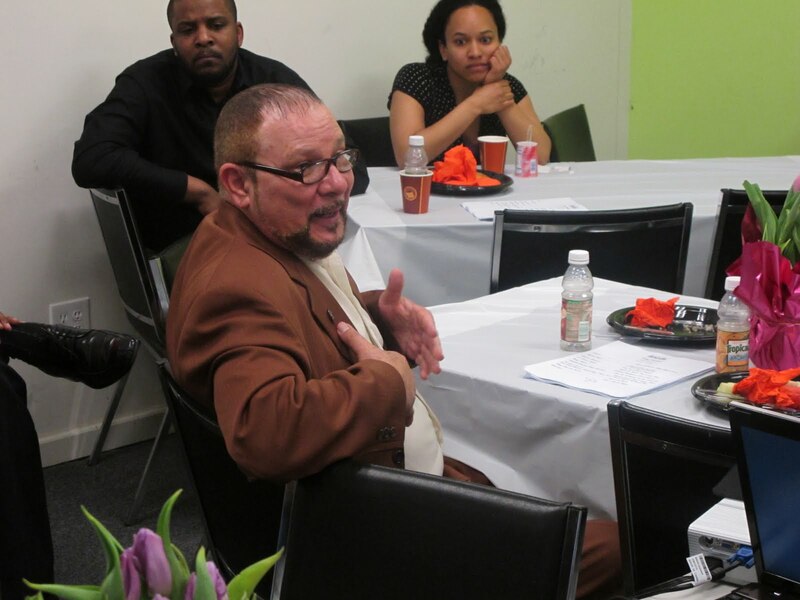 We are also happy to announce that Reverend Guillermo Martino of the Tabernacle of God’s Glory Church volunteered to serve as our official Spanish Clergy Liaison, to further our efforts to serve a wide range of people in Crown Heights. The breakfast was the start of a longer dialogue and hopefully a long-term partnership between S.O.S. and local clergy. The support of faith-based leaders is critical to our work because of their role in the community as messengers of hope and security, of comfort and faith. We welcome any comments, questions or suggestions on this partnership; please call S.O.S. 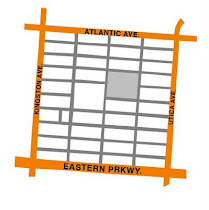 at 718-679-9410 to discuss your role.